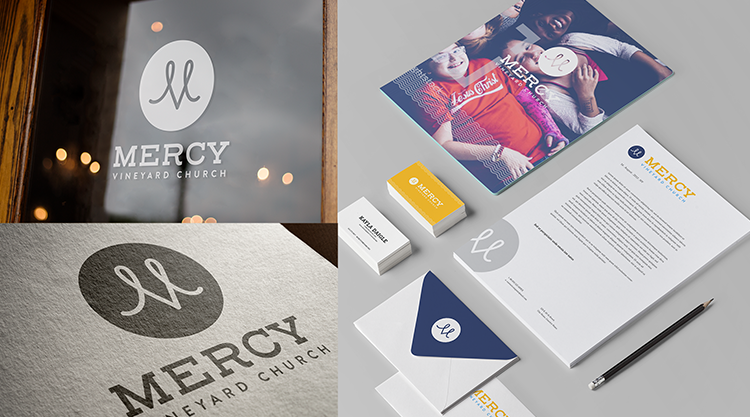 A new brand identity for Mercy Vineyard Church in Minneapolis. Our goal was to create a visual feeling of welcome and acceptance through warm imagery, color, and accurate representation of how diverse their members are. We were intentional in selecting photography that felt hopeful and optimistic through lighting and soft tones. The design lived through the delivery of templates, full logo, color, typography branding. When designing the site we wanted to focus on the richness of the people visually. Experience wise, we wanted users to know exactly what to expect when attending, from the first interaction to the last. We wanted the information to be as clear as quickly accessed as possible. From calendars, times, and what to expect, we wanted prospective attendees to feel at ease as possible.